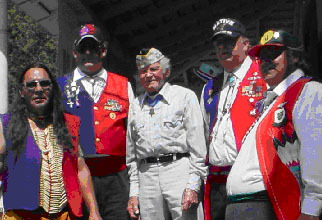 Native Americans have one of the highest records of service per capita, of any ethnic group. A majority of these men and women enlisted, and a disproportional number served in combat positions: Navy, air, surface, submarine, seal team, Marine Corps Recon and amphibious infantry, Army tank battalions, airborne-ranger units, and artillery batteries, Air Force, Coast Guard. At first glance, these statistics might seem surprising. After all, historically, the U.S. military took Native land by force and wiped out generations of Indian warriors. Paradoxically, however, the recruitment of Native Americans had been as much a federal policy as Indian removal. Indians Warriors were recruited by George Washington to fight with American forces against the British. Native American served in the Revolutionary War, War of 1812 and in the Civil War tribal warriors were recruited by both sides. A much more powerful and persistent reason for the record of military service is that, in fact, many Indian Warrior veterans think of their modern warfare experience in terms of much older traditions. For many tribes, combat was equally a physical and spiritual experience. Warriors were ritually prepared for, and ceremonially returned from the battlefield. Young warriors desired to have their strength, courage, and honor tested in combat. The American flag has always been an important patriotic symbol of the United States. For Native Americans, however, the flag has had a number of meanings. During the 1860s when warfare between Plains Indians and the U.S. Army escalated, Plains men captured American flags from the army and made decorative use of flag imagery to demonstrate their success as warriors. 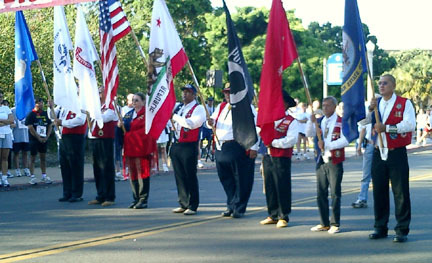 Other Native Americans joined the Army and wore images of the flag as a symbol of their military service. Members of their family, mothers, sisters, and children have also used flag imagery to show respect for and pride in their military relative. After 1870-1895, Plains people used the flag as a form of limited protection, flying it to prevent attack or interference when they held ceremonial events. Around the same time Native American women also began to incorporate the image of the flag on everyday objects such as baskets, pincushions, and rugs made for sale to tourists. Please use these links to become informed about the issues and services that directly affect the veteran community. 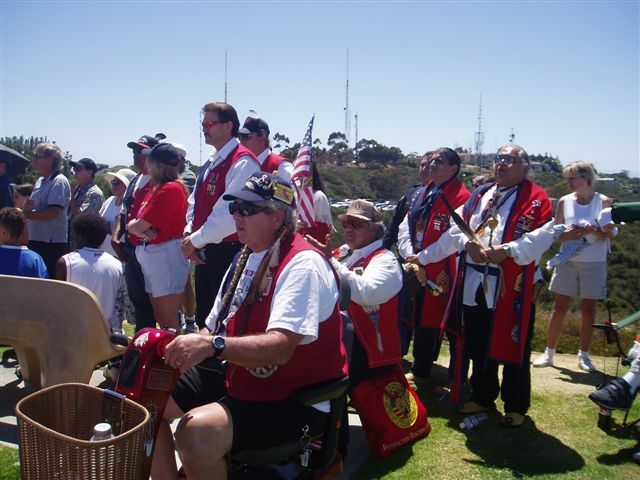 AIWA encourages all to get involved and advocate on behalf of Native American Indian veterans and their needs.